Filmmaker and actor Alex Winter has directed Downloaded, a feature length documentary about the rise and fall of peer-to-peer file sharing (mostly music) service Napster and “the birth of the digital revolution.” VH1 produced it for their film series “VH1 Rock Docs” and it premieres Sunday March 10, 2013 at SXSW. In 1998 Shawn Fanning, a teenage hacker and programmer, created the code that would become the basis for all peer-to-peer file sharing. In 1999, Fanning and his business partner, fellow teenager Sean Parker, launched the file-sharing service Napster. And what had begun as a largely unknown underground distribution medium erupted into a full-blown global revolution. 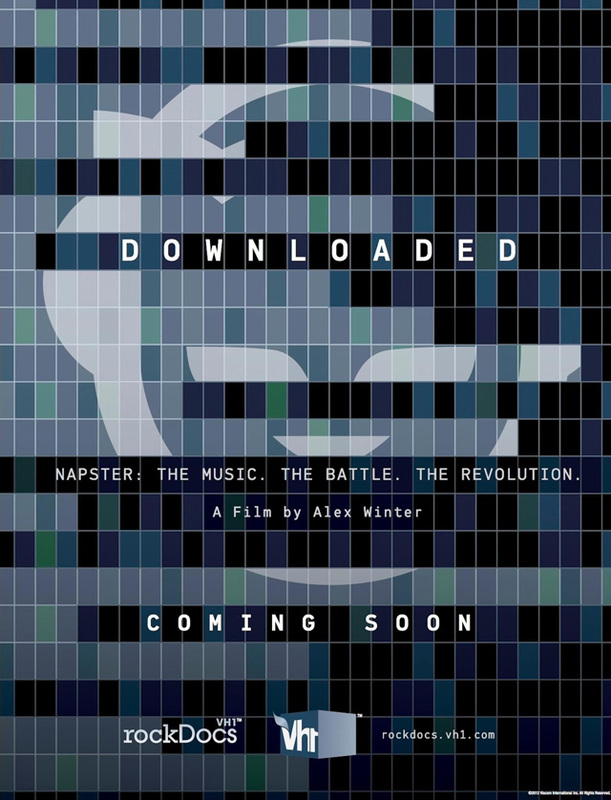 “Downloaded” explores this revolution from its genesis to its peak, and explains Napster’s downfall. “It’s about the music and the bands, the fans and the moguls, and the brilliant young minds that ignited the biggest youth revolt since Alan Freed hit the radio,” says director Alex Winter.